First Flap; known as "backwards arrow." Two per member at ordeal. Authorized for wear on uniform. (Trading flaps were not to be worn.) No BSA or FDL. 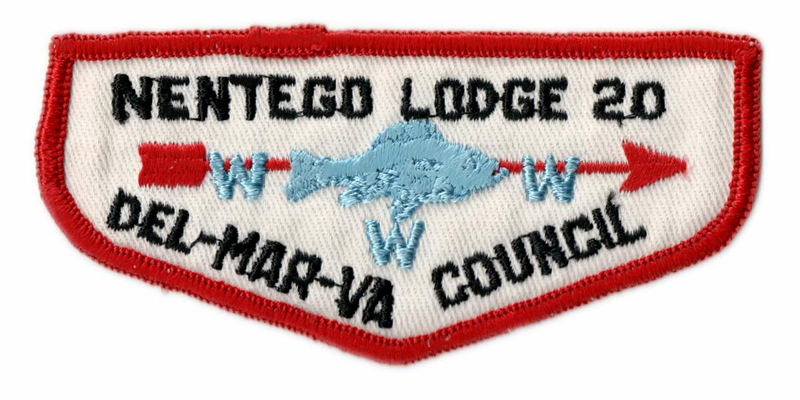 Lodge was formed in 1957. 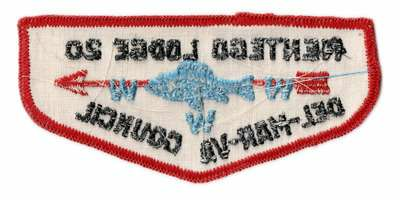 It is surmised that those ordering this first lodge flap misunderstood that the arrow was to be directed towards the wearer's right, not the flap's right. Exact reason for this mistake is unknown.